DJs in London will be going crazy for the new vinyl-only lending library which operates on a not-for-profit basis. Set up by DJs Sophie Austin and Elly Randall, the library lends vinyl records to the public for a joining fee of just £10 a month, which will allow users to take out up to 5 records at a time. 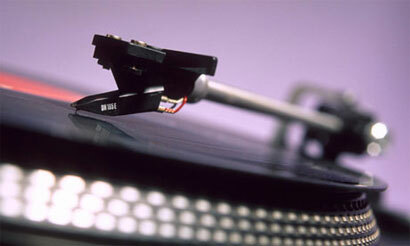 Donating records will also earn customers a free membership. Run by volunteers, the library has already received donations from as far afield as New Orleans. "We were DJing UK garage sets and we wanted to build up our vinyl collection,” Austin told The Guardian. “We didn't have the budget to buy a whole new collection, there's no vinyl in libraries any more and we have quite eclectic tastes, so we thought: 'Wouldn't it be great to have a vinyl library?'" The exact way in which the library will run is still being established, with Randall adding, "We'll be the guinea pigs, finding out if people will run off with records or if there's a way to stop that. Working out how much to charge for rental. We don't have the answers yet because it's new and there's nothing to base it on. But we've already had a guy get in touch from Birmingham saying he wants to do this. And once the pattern is set, people in different places can run their own and we'll help them set it up. Hopefully it'll work. It's exciting." The Vinyl Library is now open at Unit 1, Foulden Road, London N16 7UU, from 11am-9pm, Monday-Sunday.